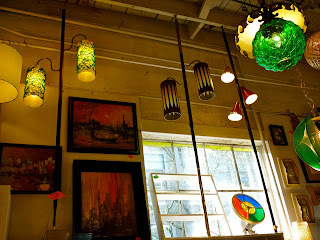 The second day we were in Portland, we made a point of visiting any cool-looking non-bike shop that we came across in our travels. 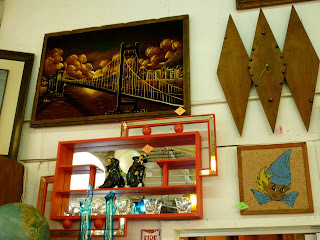 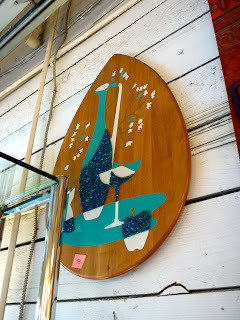 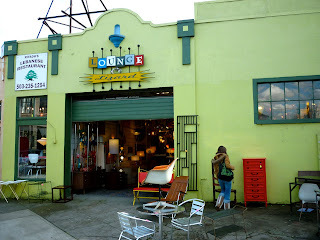 And since both my boss and I really appreciate mid-century modern stuff - from the kitschy to the kool, we had to stop at Lounge Lizard after seeing it while driving down Hawthorne Ave.
As soon as I popped my head in, I knew that I'd be here for a while. 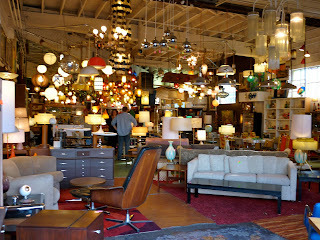 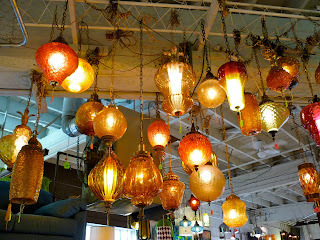 Loads of great furniture on the floor and fantastic lighting overhead. 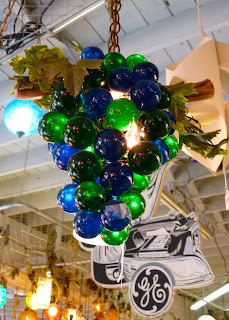 really, who *can't* use a grape light? 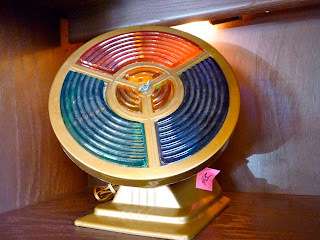 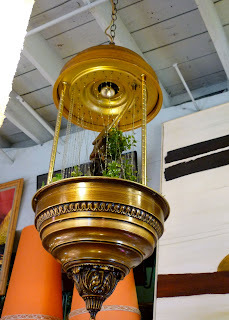 or, even better, an oil fountain light with an olde tyme mill/water wheel? 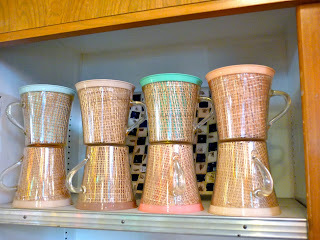 Didn't every baby boomer and gen-xer grow up in a home with these straw tumblers? 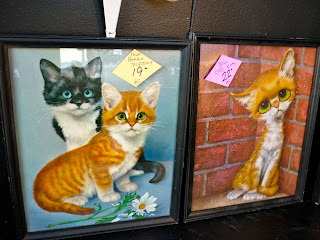 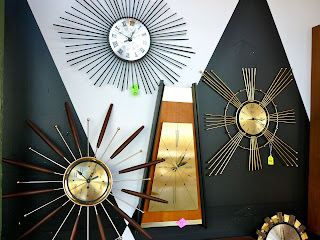 Best of all, the prices were reasonable, probably half of what they'd sell for in SoCal - or a third of what they'd sell for in Palm Springs. 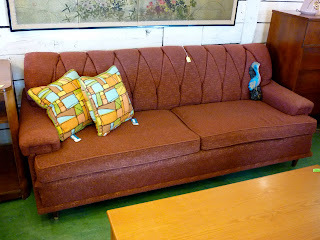 For instance, this couch was about $250. 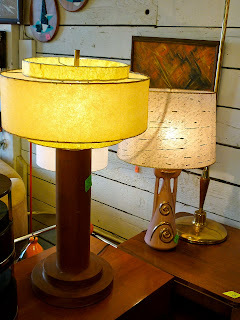 And most of the table lamps were about $50. 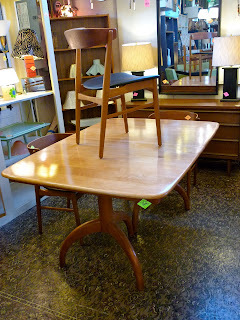 And this very Heywood-Wakefield-esque table (only $350). 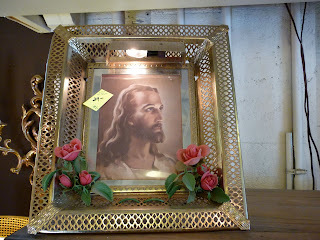 Even framed/lighted Jesus thinks Lounge Lizard is pretty cool. 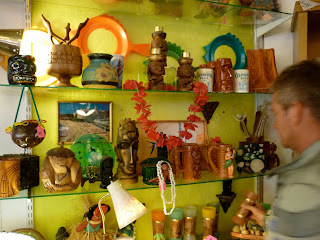 That place has Deano written all over it.